So at first glance did you think this was the Michael Kors Tortoise Jet Set Watch? 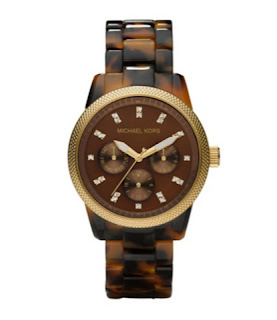 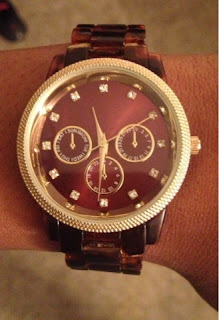 It may look like it, but it's really just a tortoise colored watch from the Merona collection at Target. When you're styling on a budget $16.99 is much more favorable than $225.